The Lukas Smart LK-7300G looks very appealing but I haven't seen any information about it in English, plus I don't understand how it connects since the screenshots show two separate units, the camera and a white flat box! Would anyone have any recommendations on a decent dash cam for my vehicle if $$ weren't a problem. If you are looking for a top of the line dash cam, you will probably want to purchase a Korean model. The Lukas LK-7300G was released in September and it is the first 1080p camera from this company. It uses the Sony Exmor R sensor as you mentioned and video quality is very good (but not that best!). The most interesting aspect of the LK-7300G is that the camera is separate from the main DVR unit. The GPS receiver is separate as well. Hence you mount the small camera on the windshield and hide the DVR unit elsewhere in your car. A very attractive feature if you are looking for a discrete installation. Here is a picture of the camera mounted. The DVR unit on the dash but it could be hidden elsewhere in the car. The GPS receiver on the dash. So now you are probably thinking, this camera is great, where do I buy! But wait, there are some negatives. First is daytime video quality. Even though it is quite good, check out this daytime video between the Lukas LK-7300G (top) vs FineVu CR-300HD (bottom left - not the CR-500HD!) vs BlackVue DR400G-HD II (bottom right). Notice how the FineVu has slightly better picture quality than the Lukas. How good is the Lukas Smart LK-7300G at reading license plates? During the day it is good. Looking at the top end of the dash cam market, you are likely looking at one of the following 3 cameras. 1. FineVu CR-500HD (arguably the best picture quality, but note that it struggles with details in low light). Cost is $280 without GPS and while small, it is not the most discrete camera. There is a lot of English support for this camera though. 3. Lukas LK-7300G (most discrete camera out of the lot, video quality is slightly worse than the FineVu and initial reliability appears ok - need more data on this). Overall I would choose the FineVu over the Lukas if video quality is your #1 priority. But you need to realize even the FineVu will have trouble capturing details in different lighting situations. So it would seem that the two options open to me at the moment are: the FineVu CR-500HD or the BlackVue DR500GW-HD given the lack of English support for the Lukas LK-7300G and the separate bits such as the DVR Unit and the GPS I will pass on this item. Is it possible to turn off the xmas lights on the back of the FineVu CR-500HD? Thanks for your efforts in the reply, appreciate it. From what I read, I don't believe the "Christmas Lights" can be turned off on the FineVu CR-500HD. The video you posted is a reasonable comparison. In poorly lit situations, the FineVu cameras are brighter than the BlackVue cameras. It is still difficult / impossible to read license plates in these lighting conditions with the FineVu though. If your primary criteria is video quality, the FineVu CR-500HD is your best bet at this time. FineVu also updates firmware frequently (perhaps more so than BlackVue) and have decent English support (manuals, firmware). I can get it fairly cheap from them, and hopefully convert it from Russian to English, would this by via the software or will it require more than just a checkbox? To convert from Russian to English, you just need to update with the English firmware. Why not purchase from dreamseller or thebestservice4you. Price is cheaper, comes in English and they have sold more than newkoreanshop. Re: Need a really good dash cam! ... In poorly lit situations, the FineVu cameras are brighter than the BlackVue cameras. It is still difficult / impossible to read license plates in these lighting conditions with the FineVu though. Overall, the FineVu CR-500HD has better day and night video quality than the Itronics ITB-100HD. 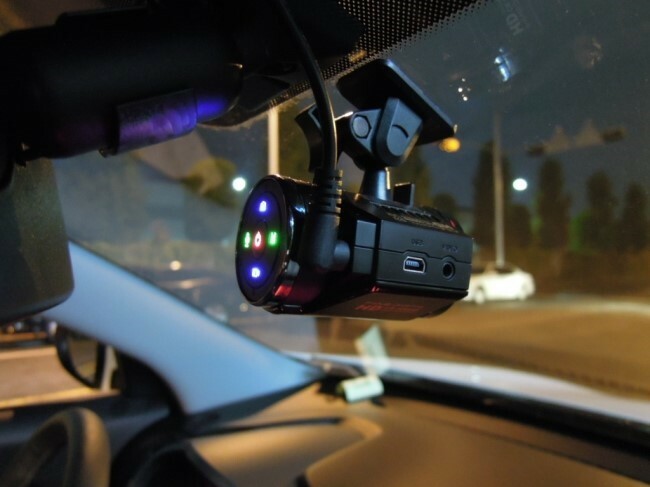 The reason the ITB-100HD is a best buy rather than the CR-500HD is that it costs $100+ less, is more discrete (small, black and not too noticeable behind the rearview mirror) and comes with GPS (add-on required for the FineVu. Overall, it can't be beat at that price (note that the eBay prices have gone up recently - perhaps Itronics is cracking down on eBay vendors). If however you are looking for the best video from a dash cam, the FineVu CR-500HD is currently one of the best (if not the best) option. How long is the cord on the GPS antenna? There or other ones listed that have a wider selection of voltages. I just received my LK-7300G, the vendor assure me it will work in English but turn out only Korean. Both the firmware and viewer software are only Korean. To make the matter worse, when I click on the option to change the camera setting in the viewer software, it crash. I did try install the viewer software in 3 different laptop, also with Korean language but still no luck. It keep crashing if I click on configuration button. I also email support to Lukas but have no answer so far. It's costly to return it to the vendor in Korea. Anyone experienced how to deal with the LK-7300G? Hi, sorry can't help you with your issue, but wanted to ask if you bought the camera on ebay, and how much did it cost? thanks!